This is unfortunately the last installment, but I will come with another theme next time! Isetan Department Store’s display is not wide-ranging as the other other but it is nonetheless worth a visit and a long look. Be aware that their offerings go fast, so come early! At 1,500 yen (but with a 100-yen disount!) the price seems a bit high for this one, but it includes “hon maguro/blue fin tuna”, ikura and raw salmon among pricey items. Note the menegi/leek sprouts sushi nigiri! An all tuna set with sushi nigiri, grated tuna/negitoro gunkan and tekka maki! 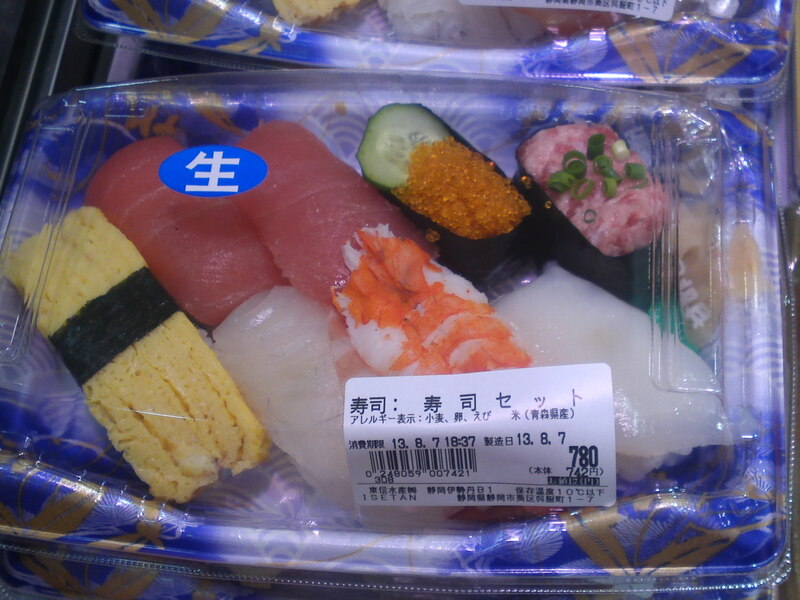 An individual sushi set for 780 yen including tuna, flying fish roe, negitoro gunkan and cuttle fish! 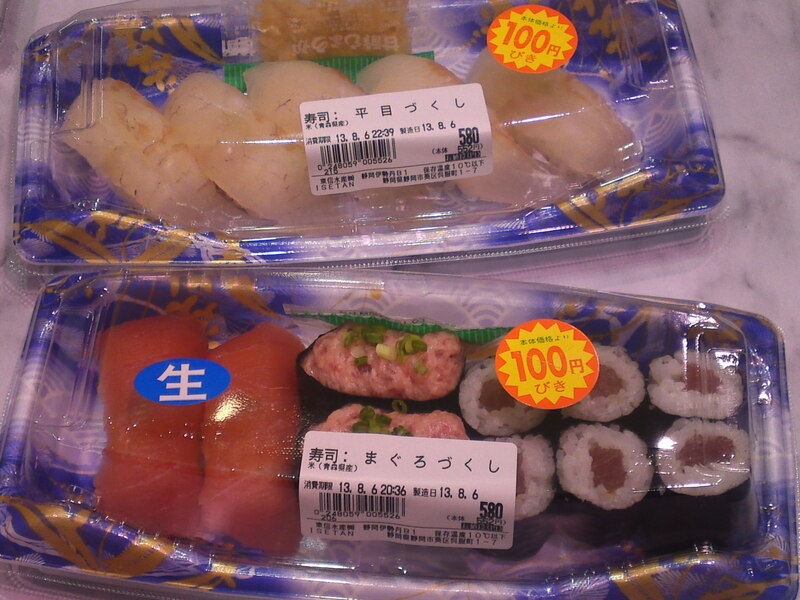 Two different individual all-tuna sushi sets for 580 yen! Now, this is cheap! The day Special sushi set! 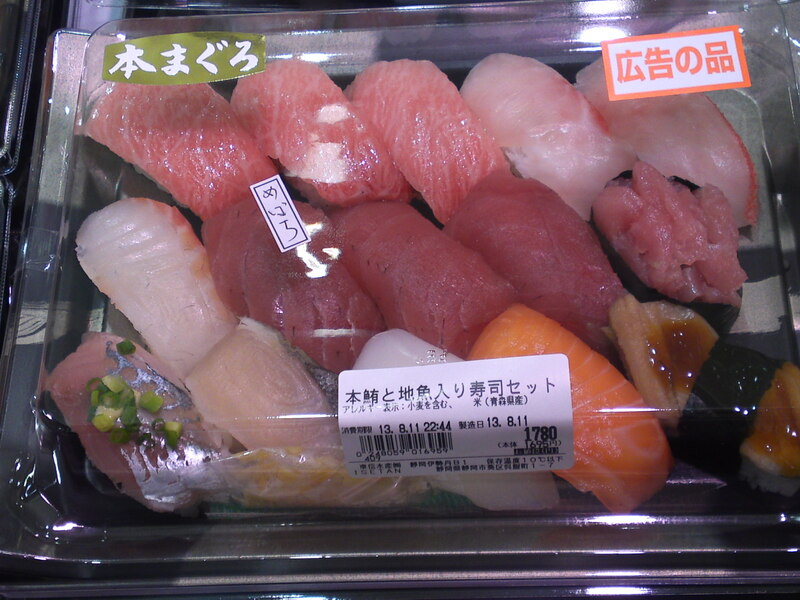 15 sushi pieces for 1,780 yen! A whole dinner! 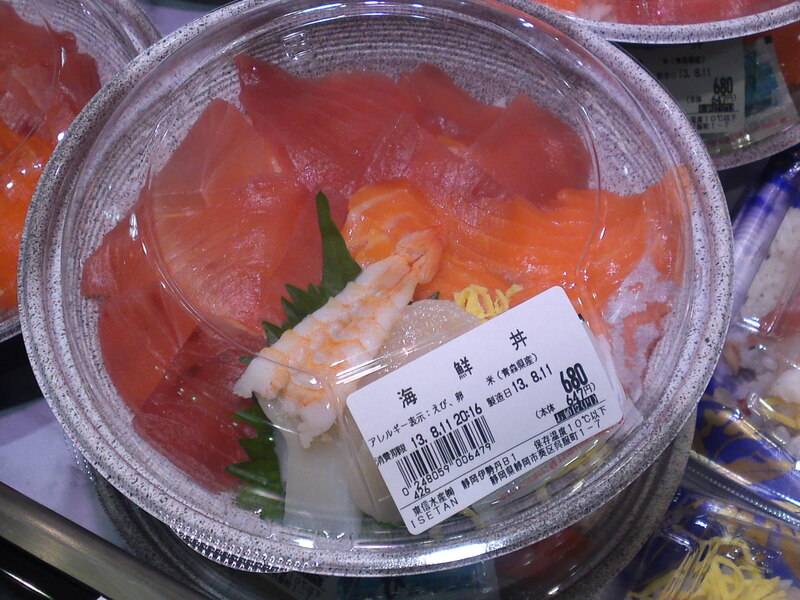 Including pricey items such as hon-maguro, mebachi tuna and conger eel! What would you pay for that even in a sushi restaurant? 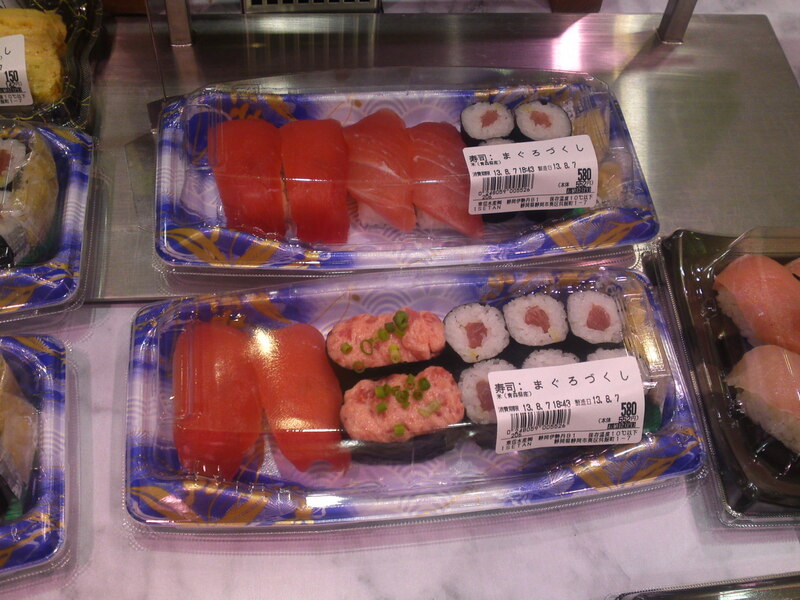 4 inari zushi for 210 yen! The perfect accompaniment to another set of fish or fowl for example! 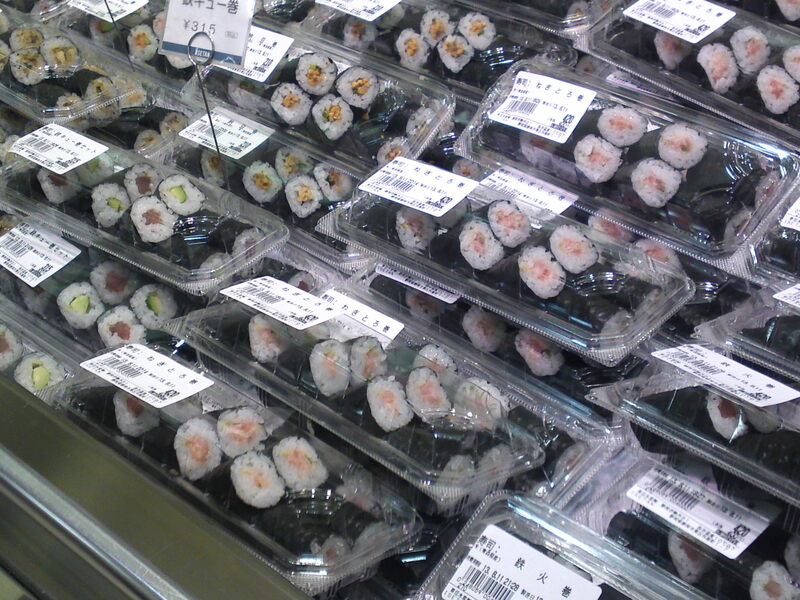 All kinds of sushi rolls (2 per pack cut into 4 pieces each) from 210 yen to 420 yen! An embarrassment of choices! kaisen donburi/Fresh seafood bowl with 7 different ingredients including tuna on a bowl of sushi rice! Only 680 yen! A whole meal! 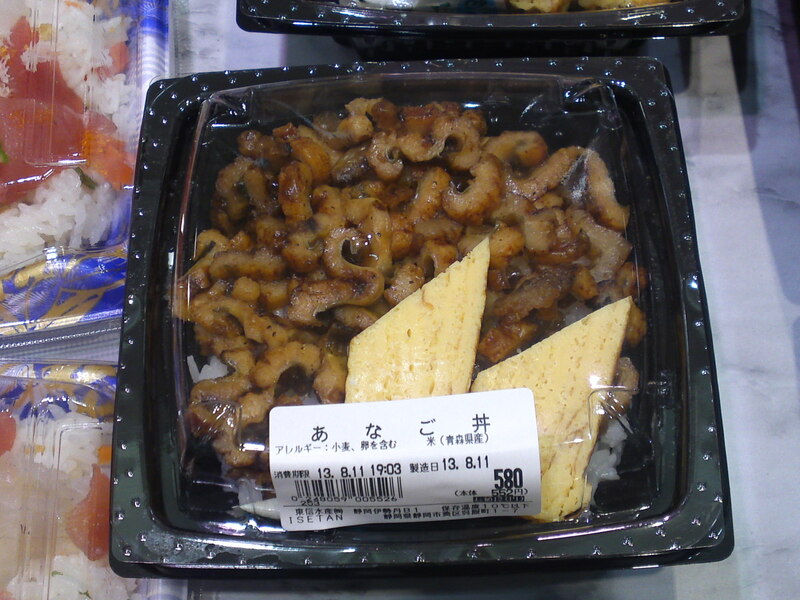 A Shizuoka specialty: Anago donburi! Broiled conger eel and tamagoyaki atop rice! At 580 yen, a real bargain! 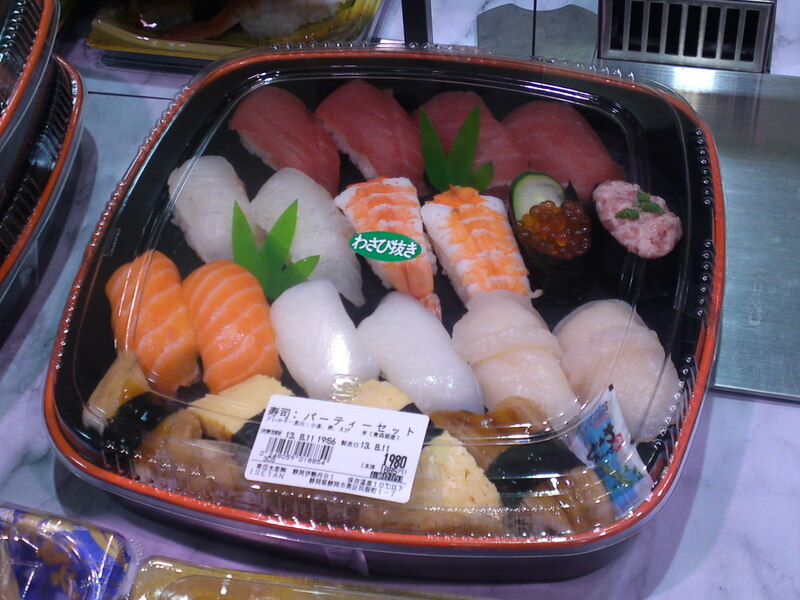 Right, that is all for sushi sets, bentos and takeouts at Shizuoka City Department Stores! Of course if I have the opportunity to visit other Department Stores in a different city of our Prefecture I’ll be glad to report on them! 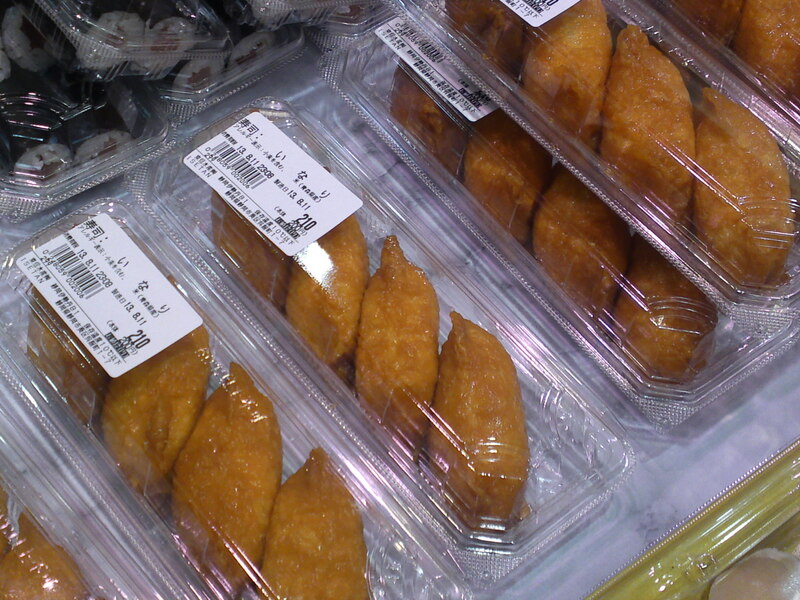 Any suggestions for the next theme based on food you could buy at Shizuoka City Department Stores? 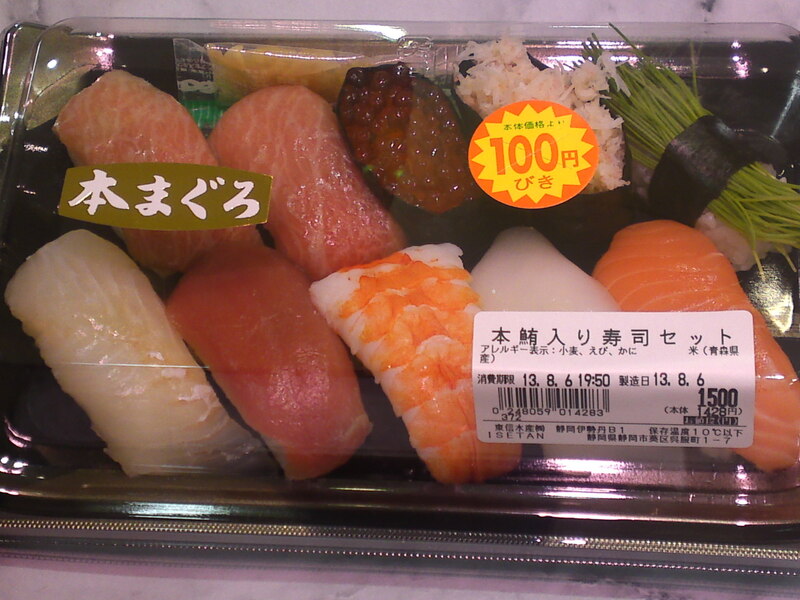 Previous PostSushi: Sushi Sets, Bentos and Takeouts at Shizuoka City Department Stores-5Next PostThe 10 Best Sushi To Succeed with a Date!